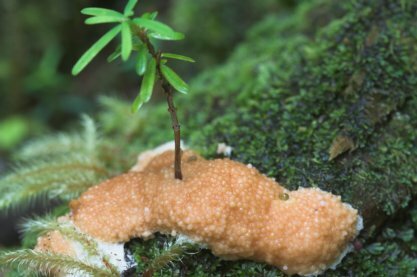 Slime Molds are something I am not all that familiar with. 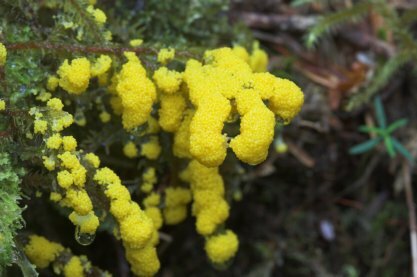 Until this year, I do not think I had noticed slime molds more than a handful of times. 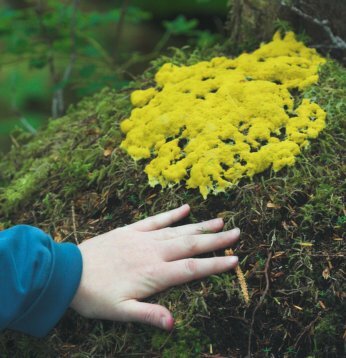 This summer I have noticed slime molds growing a few different places while on hikes, but never in the abundance and variety that I saw yesterday along Mosquito Cove Trail. There were at least 4 distinctly different forms (and I assume they would be different species). One of the yellow forms was present in multiple locations. is my best guess. It reminds me of bubble gum. Unlike other slime molds I have noticed, this one had a relatively tough outer layer. However, inside the thin leathery exterior was a pink slime. This entry was posted in flora, photo. Bookmark the permalink. 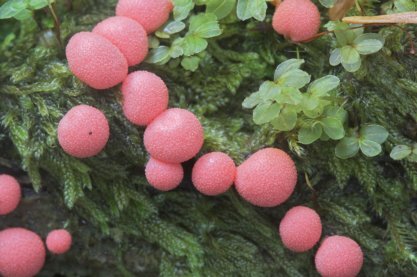 If someone is trying to Identify that pink slime mold, check out “Wolf’s Milk Slime”, or “Lycogala epidendrum”. I think that might be it.